For nine years straight, gift cards have topped holiday wish lists, according to the National Retail Federation’s Holiday Consumer Spending Survey. If that’s not testament to how much shoppers love gift cards, how about this? 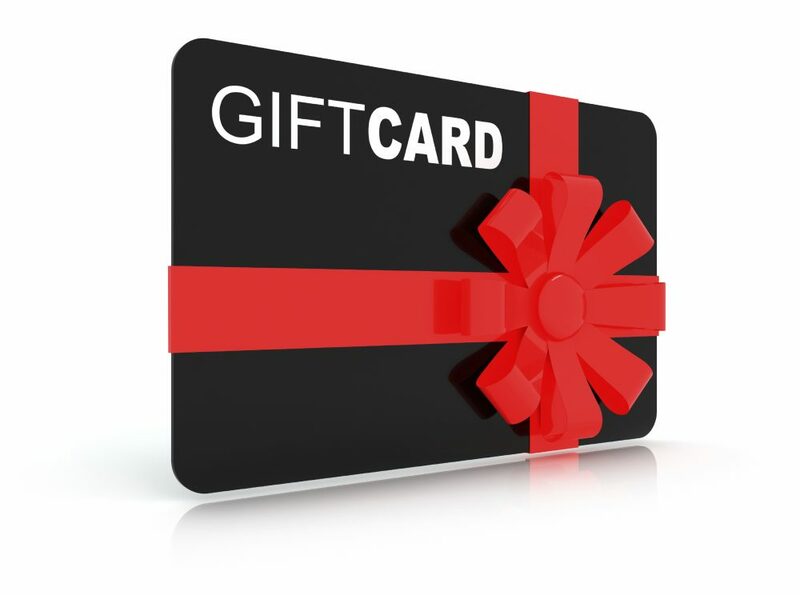 Each year, 93 percent of Americans buy or receive a gift card. So it really goes without saying that if you’re the proprietor of a quick-serve restaurant, like a coffee shop, deli, or frozen yogurt vendor, or a retail store, you want to make this hot seller available to your customers. Husband and wife team Justin and Brie Henshaw, owners of Fuse Frozen Yogurt, have witnessed the importance of gift cards to their small business’s bottom line. Customers regularly hit up Fuse – which has locations on St. Simons Island and Jekyll Island off the coast of Georgia – for their tasty froyo, gelato, sorbet, and soft serve fruit, but gift cards are extremely popular, too. The Henshaws use Gyft to sell both physical and digital gift cards. Despite some minor bumps along the way (like the ability to purchase only one gift card per transaction), they’d recommend Gyft to other small business owners. Here’s why. 1. They’re attractive to Millennials. For those who prefer to remain old-school, Gyft offers plastic cards. But for members of the 18- to 34-year-old crowd that want to keep their entire lives on their smartphone, Gyft also offers digital cards. Buyers can purchase digital gift cards in-store, online, or over the phone and have them sent directly to recipients’ phones. When it’s time to purchase, recipients just fire up the Gyft app and redeem the card value from there. No more wallets bulging with plastic cards, and you always know where your balance stands. There’s also the option of purchasing a physical card that the recipient can upload it to her phone. 2. They’re word-of-mouth advertising for your business. Gift cards aren’t just an additional service to offer customers, they’re also an easy, low-cost way to build brand recognition. Someone may be unfamiliar with your business, but if he receives a gift card, it’s going to entice him into visiting. Gift cards “reconfirm our brand and give customers who wouldn’t have come, the chance to come and be a fan,” explains Justin. Gift cards also bring loyal customers back through the doors since they’re likely to include them on a holiday or birthday wish list. 3. Gift cards provide valuable information about customer buying habits. As a small business owner, you won’t need to wonder if gift cards are one of your top sellers. Nor will you need to spend hours sorting through receipts to find out. Gyft sales data downloads directly into your Clover system, providing you details about your customers’ purchasing habits in just minutes — giving you the ability to adapt your marketing plans nimbly to reach your patrons more effectively. Ever experience a barista or clerk grumble when you ask to buy a gift card? Chances are, they’re ringing you up on a cumbersome, non-intuitive POS system. That won’t happen for merchants using Gyft (the app integrates with Clover’s API), which the Henshaws transitioned onto right before the busy Christmas season. Even better? Gyft’s customer service. “You call Matt right away, and you always get him on the phone, and he always takes care of things,” says Justin. 5. The economics of gift cards are great for merchants. To an outsider, it may seem like swiping a gift card and swiping a credit card are the same thing. But when you’re a business owner, that same action has different costs associated with it. Both are convenient, but payment processing costs are cheaper for merchants when a customer pays with a gift card. Additionally, most consumers spend 20 percent more than the gift card’s face value, so this method of payment reaps more revenue for business owners. And since Gyft makes it easy for users to add value to (or “re-up”) a card once it’s been depleted (a key offering for coffee shops, ice cream parlors and the like), it’s likely that the sale of the original gift card will lead to more purchases from a single consumer. Sounds like a gift worth giving to yourself. EMV Transition Has Been A Nightmare For Businesses. This Guide Should Help.